As the workforce ages and fewer young people leaving education and training, employers will increasingly need to rely on the skills and experience of their older workers if they are to remain competitive and avoid skills shortages in the future. The government launched a Framework for Action called ‘Fuller Working Lives’, aimed at making the business case for later life working, and for tackling the issue of involuntary labour market exit of people in their 50s and early 60s. Age can be a useful tool when applying for jobs because it implies experience. With age comes dependability, wisdom, fortitude, a strong work ethic, dedication, promptness, a wealth of knowledge, resilience, plus organisational and communication skills. For example, you may also have good customer service skills and be able to mentor and train younger staff. 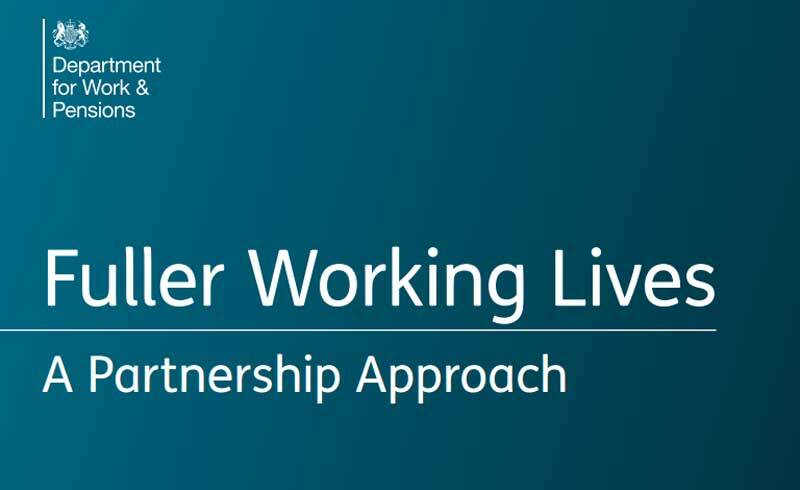 The government published the policy paper Fuller Working Lives: a partnership approach in February 2017 with the aim of increasing the retention, retraining and recruitment of older workers. The strategy is led by employers who understand the business case to drive change. The Business in the Community Age at Work leadership team will take the government’s work forward by promoting the benefits of employing older workers to employers across the UK. If you are over 45 and need some support to get back into work or to stay in work longer, check out the resources below provided by www.gov.uk. There are more older people in employment than ever before, but many people over 50 are at risk of leaving the workforce early, and not necessarily because they want to. Staying in work and taking control of when and how you retire can give you more money in later life as well as benefit your health and wellbeing. Internet usage among adults in the UK is highest in London and most companies expect all staff to have a basic understanding of how to use computers and the internet. Age UK have created guides which aim to help people to stay safe online and make the most of the internet. Age UK also offer computer training courses across the City. For more information, visit https://www.ageuk.org.uk/information-advice/work-learning/technology-internet/ or download our Digital Resources sheet. Computer/ digital skills and the ability to use the internet to get a job are becoming almost essential. And it's crucial to take advantage of social media websites, such as Facebook, LinkedIn and Twitter. These social media platforms show that regardless of your age you are up with the latest technology. This will help you demonstrate that you have the ability to work and excel in today's constantly-changing workplace. Jobcentre Plus can help if you’re out of work. It may be able to provide training, for example with IT literacy and English language skills. It will also be able to signpost you to further sources of information and jobs in the local community. Returning to the workforce after any period of time away can be a difficult process. To ease your transition towards employment, the government provides guidance on finding a job. Developing your skills and ensuring your suitability for the workplace is essential at every age. Older workers need not be deterred by IT requirements. If you feel that you could improve your computer skills there are many opportunities available, before and during your time at work. If you are concerned that you need to improve your English, maths and IT skills, speak to a National Careers Service Adviser about finding an appropriate course by calling 0800 100 900. Apprenticeships aren’t just for the young. They can give you an opportunity to gain the skills and experience to succeed in a new field. To find current Apprenticeship vacancies, visit the Find an Apprenticeship website. Self-employment is a popular option for many older workers who want to build on past experience, develop specialist knowledge and increase control over their working lives. UnLtd support social entrepreneurs throughout the UK. They have frequently worked with over 50s looking to make a difference in their communities and beyond. If you’re already receiving certain benefits, the government’s New Enterprise Allowance can provide money, support, and mentorship to help you start your own business. Also check your local council website to see what support they offer. You can also download the HMRC Guide to Self-Employment and the HMRC Self-Employment Checklist. Flexibility in the workplace is a benefit to all, and can lead to greater productivity and work satisfaction and lower employee turnover. Read an overview of flexible working, including the legal requirements for employers. Acas provide guidance for employees on rights and responsibilities when requesting flexible working. Citizens Advice also provide guidance on negotiating flexible working hours or you can download our guide for requesting flexible working arrangements. If you’re thinking of retraining, or moving into a different industry, then you could consider a career review. Career advice is useful for people of every age and a career review could help to point you in the right direction, identifying appropriate employment for older workers. The National Careers Service provide a skills health check to help you plan the next steps in your career. The default retirement age has been removed, so in most cases employers can no longer force employees to retire just because they reach a certain age. As the workforce ages, more and more grandparents will be working. It’s important to acknowledge the contribution they make, both in work and in childcare. Grandparents Plus is an organisation with a lot of experience representing the views of grandparents. They provide advice on balancing work and caring responsibilities and finding childcare. If you’re looking after your grandchildren, you may be able to get National Insurance credits to boost your State Pension. It may be that you provide unpaid support for someone who could not manage without this help. This could be caring for a relative, partner or friend who is ill, frail or disabled, or who has mental health or other day-to-day care needs. Carers Centres are independent charities that deliver a wide range of local support services to meet the needs of carers in their own communities. Plan for your retirement income from your State Pension or a private pension scheme. The Pensions Advisory Service provide information about the different pensions on offer. You can claim State Pension while you’re in work once you reach State Pension age. However, you don’t have to claim your State Pension as soon as you reach State Pension age. You may get extra money if you delay (defer) your State Pension. If you decide to continue working when you reach State Pension age, you’ll no longer have to pay National Insurance. Find out how you may be affected by the new State Pension if you reached State Pension age on or after 6 April 2016. If you’re under State Pension age you can get a pension forecast online. It’s never too late to start saving for a pension. With automatic enrolment into a workplace pension it is even easier to do just that. Since 6 April 2015, individuals aged 55 and over with defined contribution pension savings have been able to access their pension pot how and when they want to. (This is subject to their marginal rate of income tax, typically 20% or 40%.) They can do this either through their current scheme or by transferring their savings to a scheme that offers flexible access options. Further information can be found through Pension Wise, a free and impartial government service. The NHS provide useful guidance on how to remain active, healthy and fit for men & women over 60. Age UK also offer in-depth information on maintaining a healthy diet, body and mind. Through the Disability Confident campaign, the government is working with employers to give everyone the confidence and capability to enter the workplace. Government are always interested in discovering new case studies, highlighting examples of best practice and sharing positive stories about older workers. If you have any stories to share or any comments about this guidance, please email fuller.workinglives@dwp.gsi.gov.uk. You will be asked to complete a case study consent form so your story can be publicised to spread good practice.